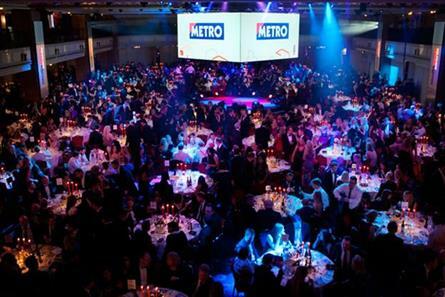 Tonight is the biggest evening of the year for the British media industry, the 2015 Media Week Awards. This is the 30th anniversary year of Media Week. There was a great party in the spring. But tonight’s ticket is even hotter. There are nearly 1,400 people coming to the Grosvenor House hotel. And there was a waiting list for tickets right up until this evening. That’s proof that Britain’s media industry is in pretty rude health. Advertising – that’s media spend controlled by the 1,400 clients, media agency leaders and media owners in that room – is close to a £20 billion-pound-a-year industry in the UK. And this is the sixth year of rising revenues. We’re benefiting from the fact that London is the financial capital of Europe. And, of course, we’re all spending more time consuming media – all the time – whether it's watching and reading on our phones, looking at outdoor, or being in the home. Sure, there are problems. Noone is going to survive if they don’t change and innovate and as an industry we need to be honest when things aren’t working. That’s something I want to write about for Campaign and Media Week in the coming months. But tonight is about celebration. Picking the best of the best of British media. The people who have put in all the hard work are the judges and, especially, the two co-chairs, Anna Watkins, the managing director of Guardian Labs and Alistair McCallum, the chief executive of M2M.